How to build an Airwhere for FlySkyHy (Iphone). This page will help you build a form of AirWhere you can connect with FSH - there is just 3 wires to solder onto the AirWhere board to work with the GPS. The board just requires to be configured and plugged into an special usb cable and then into your kobo. A BLE module is required to be added but that is just 3 wires. Small amount of configuring and you will have AirWhere on your Iphone ( and then sounds and a vario if you would like! ). The install and setup procedure just requires basic computer knowledge, how to download files, very simple soldering procedure, install software and make a brew while you wait. Hardware needed is an Iphone, a GPS, BLE Module, micro usb cable and a usb battery pack. Please use a quality usb cable and decent power pack, cheap ones will not work and cause alsorts of issues. Firstly before you start you will need to register an ID for your unit. 1.1 Proceed to the registration page and type in your email and choose a password and press sign up. You will then receive an email asking you to confirm your email address, if you dont receive one, check spam to see if its there or any other issues - contact us. Your AirWhere manufacturer should stay at 04 and you can choose an ID for yourself, its 4 digits from 0001 to FFFF, but dont worry about the letters, just choose a 4 digit number if you like - eg 2345. This will now be your flying number. N.B If you have problems purchasing please contact us, we usually have some stock for quick despatch. One more item you will need is a usb power bank - any power bank will do, try choose one around 5000mah, this will give airwhere a and your Iphone a couple of days running! These new ESP32 SX1276 and Heltec boards are a great way to build a simple and quick AirWhere as it includes many of the components you need in one board. You can add other components to make a stand alone device. These instructions help you setup the board and get a basic AirWhere or Groundstation without the need to solder anything! 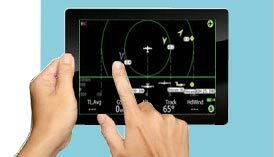 The board comes with an adequate antenna to test, we wouldn’t recommend flying with this due to its short range, but it is ok for testing., we recommend a longer antenna for final use, please see the shop page. Once the purchased hardware arrives you will need to install the windows / mac drivers to be able to ‘see’ the board and then install the AirWhere software onto it. 3.1 Load this page and then download the relevant driver for windows and install. 3.2 Extract the zip file to a folder and then run the correct executable in the file. If your on 32 bit windows, run the exe with 86 in it and if your on a 64 bit windows run the 64 version. Your version can be found in windows device manager. 3.3 Now you should be able to get a micro usb cable and plug your AirWhere board in..
Windows should say its found the hardware and that is now working. 3.4 Open windows device manager (control panel – device manager). Find ‘Ports’ you should see a new port there, perhaps com3 or com4 which is your new board.Take a note of this number you will need this in the next step. 4.1 Create a new folder on your PC. Name the folder but DO NOT allow any spaces between letters. The next three files are available either on the AirWhere down loads page http://www.airwhere.co.uk/airware-downloads.php or you may find them under files on the Airwhere-ESP32_Pilots Only page on facebook. Please make sure there are NO spaces in any of the file names and the directory it is in, this will create an issue. 4.3 Plug the ESP32 into a microUSB and into a USB port on your computer. The OLED may say Heltic and then start counting packets it is transmitting. Ignore this and carry on. 4.4 Double click on the ESPFlasherGUI.exe file and link the Bootloader, Partition and Application files. For example COM11 (even though the correct port may appear in the box you MUST click on the drop down and reselect it or the download will fail). 4.6 Select the memory size 4MB. 4.7 Finally press FLASH and immediately after press the PRG on the board once. 4.8 Now check to see if you can see the AirWhere ESP32 board on your wifi settings. So now you have a working ESP32 board with the AirWhere program. 5.1 Search for the new device in your wifi settings and connect to it..
5.2 Now type 192.168.4.1 in your web browser. If you are using an android phone please switch your data oﬀ, android will try look for airwhere on the internet and the connection will take a long time. You will now see a page titled AirWhere ESP32. This is the configuration page. 5.3 Then use the Configure Pilot Info button to enter your details, enter the ID you registered in step one. .
5.4 Reconnect this wifi device then refresh 192.168.4.1. 5.5 Click ‘Pilot Info’, input your pilot details, your Wifi SSID and Password.. This will allow you to upgrade the software via your Wifi connection. 5.6 When you’ve completed the settings press submit. The unit will restart so go back to the home page again once its started. 5.9 In connection mode choose OTG/Serial Mode ( GPS attached to ESP32). 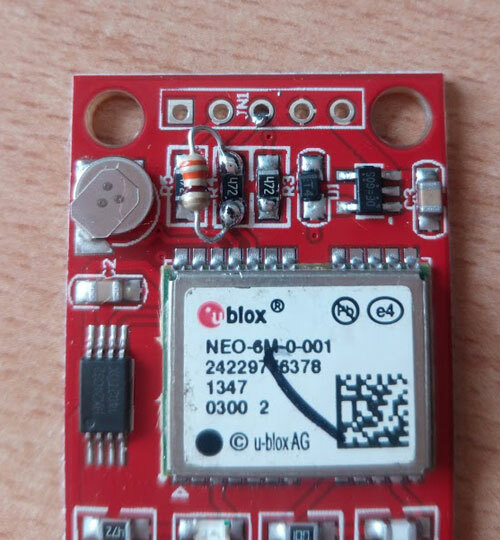 Again press submit and reconnect to home page..
6.1 Connect VCC to the 3.3V or 5V Pin on the AirWhere module - check your GPS info for this value, if you dont know, pop on the facebook group or contact us. Then attach GND to GND Pin, finally on the GPS, attach the GPS to port 23 on the AirWhere module. Now you need to attach a BLE module, please see this page :- BLE module. Once this is running, simply load FlySkyHy and in Devices select FLARM device - AirWhere, and then select your BLE module name, it will be something like BT-05 or MLT-05, it will be pretty obvious what it is. The Iphone will then connect to AirWhere and you should be seeing pilots! One of the main things thats missing from the Kobo is sounds, we can now, for the price of a piezo buzzer very simply add these. 7.2 Make sure the kobo and the esp32 board are unplugged and away from the battery pack. 7.3 Attach the piezo to the esp32 by connecting the black wire to the pin on the AirWhere board marked GND, one of the outer pins on the board and then the red wire to the pin marked 32. 7.4 Power the Kobo up once more and plug the AirWhere module in. when you now perform actions on LK8000 there should be sounds coming out of the buzzer! iii Follow the wiring diagram to setup the vario board. a breadboard can be used to temporarily check the system works ok, however soldering gives a better joint. Have fun with the project!